We’ve come a long way since our registration open date of February 14th! After a few hurdles, a lot of volunteer work and course maintenance and we are ready to host this highly anticipated and much loved event at Punderson State Park located in Newbury, Ohio. 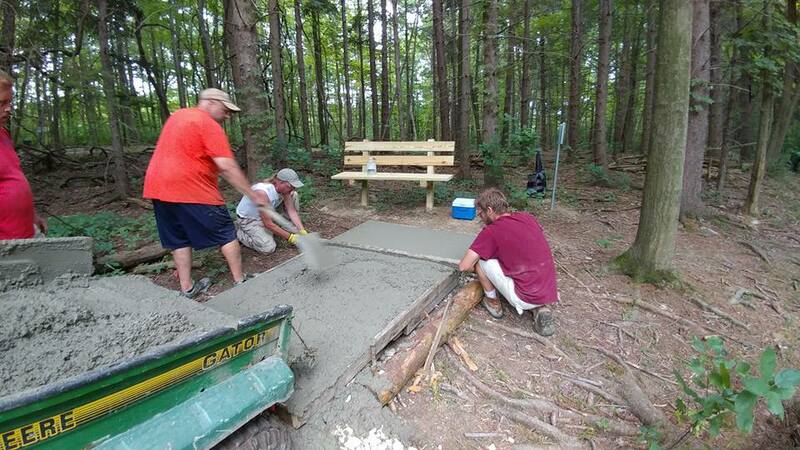 WORK DAY – Monday, July 17th at 10:00am – Please come if you can make it! This event would not have been possible without the support of the Disc Golf Association, Dynamic Discs, MVP, Johnny’s Grill & Pizzeria, Punderson Manor Lodge & Conference Center, Bailey’s Home Improvements, Zuca’s Non-Profit Program, Team T.E.A., EBDB (Sharky’s Band) and our hardworking volunteers with the Friends of Punderson State Park 501c3 non-profit organization and disc golfers who support and enjoy our course. 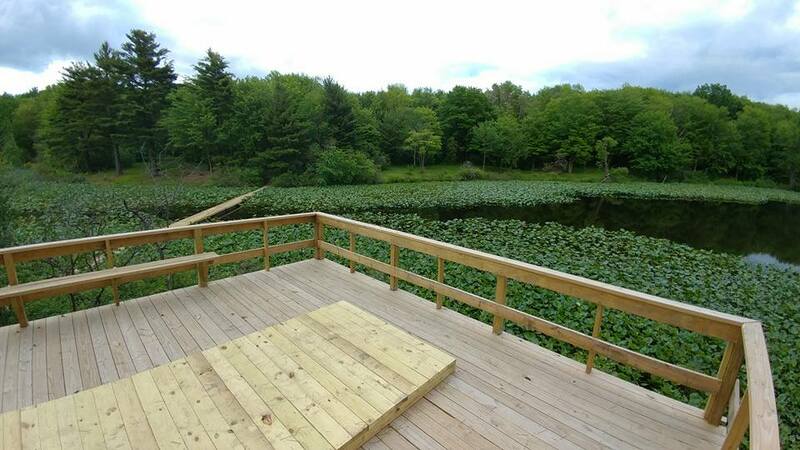 Last year one of our biggest accomplishments was installing the island bridge, however we just didn’t have the time to incorporate it into play for last year’s tournament without having the platform installed which we were able to install this year. For this year’s event, the island will be in play. Not only is the new layout now fully in place, but we have also poured the additional concrete tee pads and are working on updating all of our maps and signs. All tournament layouts are now playable for practice before the tournament. And as always, we will be hosting side events as well as our much anticipated Prize Raffle. For those of you coming into town early, we are hosting a Blowfly Doubles Event Friday Night (bring your own partner). Saturday evening, we will be hosting an “Island Hootenanny” which has actually been moved to the Sports Chalet (tournament headquarters) from 6:00-9:00pm with Pizza provided by Johnny’s Grill & Pizzeria and music by EBDB – there just wasn’t a way to get a reliable electrical source and restrooms on the island. Please make sure to let us know if you will be attending the Hootenanny at registration so we order enough pizza. Raffle tickets will be for sale during this event. At 9:00pm if you signed up for the Midnight Flyer Glow In the Dark Round you will be heading out to play 9 Holes with Limited Edition Midnight Flyer. Also at 9:00pm we will begin the Raffle Drawing which is different from past events as we usually held it on Sunday, after the tournament ended. 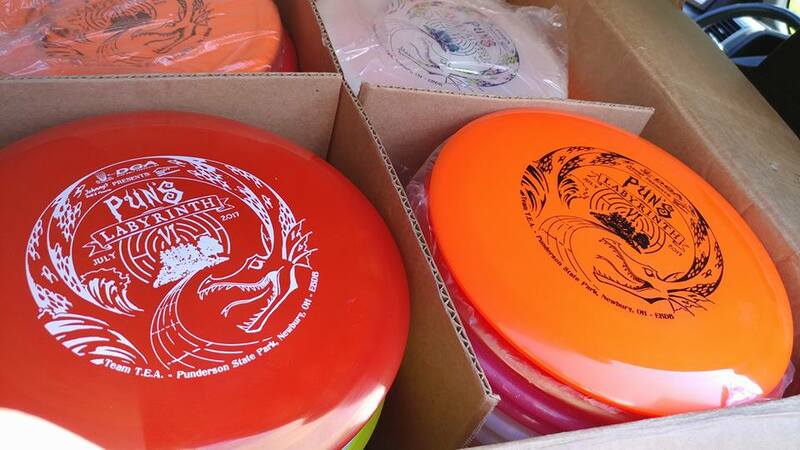 You DO NOT NEED TO BE PRESENT TO WIN your items during the raffle, however your raffle ticket must have your FULL NAME or PDGA NUMBER clearly marked on the ticket, and you will have to pick up your prize before you leave on Sunday. 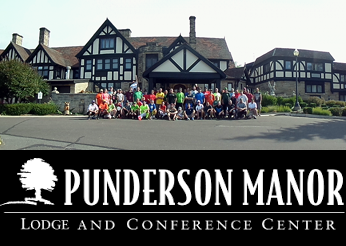 This year, you are encouraged to donate now to earn extra raffle tickets as well as entries to a One Night Stay for Two at the rumored to be haunted Punderson Manor (not available during the event) – Click here for more information and to Donate Now. We also have custom stamped discs from the DGA, Dynamic Discs and MVP. All players will receive a custom event player pack bag with Itinerary, 1/2 OFF Appetizer Coupon to Punderson Manor, and complimentary Raffle Tickets. If you are from out of town looking for some grub during your stay, please check out these local Restaurants & Businesses and let them know you are here for a Disc Golf Tournament hosted by the Friends of Punderson! 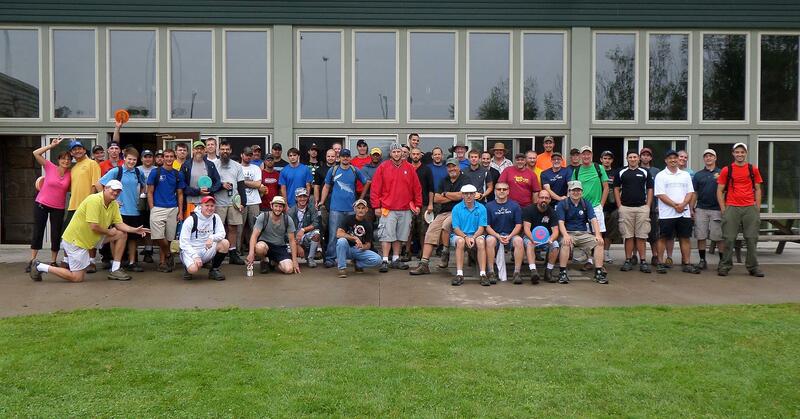 If you aren’t already, please follow us on Facebook or Disc Golf Scene for updates.